Barry was born and raised in Tacoma, WA and was adventurous from the start. He achieved the rank of Life Scout in the Boy Scouts of America and his wanderlust was fueled at the age of 14 when he attended the BSA World Jamboree, Australia in 2001. Barry graduated from Spanaway Lake HS in 2004. He enlisted in the US Army in February 2006 and attended Basic Training at Fort Knox, KY. Barry was stationed in Vilseck, Germany, 2SCR (Stryker Cavalry Regiment), Fires Squadron-Alpha Battery 1st Platoon. He deployed to OIF (Operation Iraqi Freedom) task force Artillery Hell from August 2007 – October 2008. 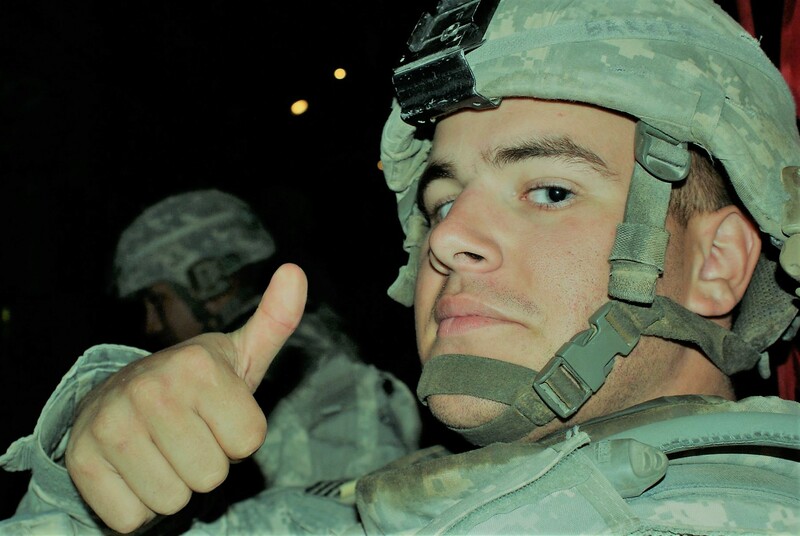 During his deployment Barry suffered a TBI (Traumatic Brain Injury) when the armored vehicle he was piloting encountered an IED (Improvised Explosive Device) on July 14, 2008. Although there were no visible signs of trauma, Barry carried those battle scars with him to the end. He was deployed to Iraq a second time from September 2009 – February 2010. Barry was very proud to have served his country and received the Iraq Campaign Medal with two campaign stars, Army Commendation Medal (2nd Award), Army Achievement Medal, Meritorious Unit Commendation, Army Good Conduct Medal, National Defense Service Medal and Global War on Terrorism (GWOT) Service Medal. Barry participated in the Wounded Warrior Project in Fayetteville, NC before his honorable discharge from the US Army in June 2011. Barry returned to Tacoma and studied Air/Mixed Gas Commercial Diving at Divers Institute of Technology in Seattle WA in 2013 and pursued a career as a commercial diver in the Gulf Coast until June 2014. Although he loved the work he was doing, Barry longed to return to his family and roots in Washington State where he found an extended family while working for Kulchin Foundation Drilling. Although Barry’s time with us was far too brief, he lived his life with enthusiasm. He loved travel and adventure, enjoyed meeting new people and made friends easily wherever he went. He was a good listener, had an amazing smile and gave the most incredible bear hugs. Barry loved deeply and wore his heart on his sleeve. His memory will live on in our hearts forever. Barry is survived by his parents Cindy & Paul; younger sisters Chelsea, Katie and Serenity; and younger brother Noah. Please be kind to one another. You never know what hidden battles a person is fighting.